Mountaineer Movers is an award winning moving company as a local mover in the Hamilton, Burlington Ontario area, annually receiving the recognition for the work we do in the community. Our rates are competitive and we take great pride in making sure your move is done safely and on time. The drivers are professional, courteous and ready to help you move every step of the way. We have moving trucks in various sizes depending on the size of the move. If you need a moving company for residential or commercial moves in the Hamilton, Burlington region contact Mountaineer Movers for a quote. If you need wardrobes, flat screen tv boxes, picture mirror cartons, we can supply these items at no extra charge. We are so very impressed with the excellent service we received from your company. From the initial telephone contact to our bidding the 4 movers farewell yesterday we felt that you valued us as your customer. In particular, Chris and his team of 3 movers worked relentlessly in 34 C. weather. Their pace was steady and their expertise in handling furniture with care was most evident. Further, throughout the 11 hours they remained cheerful and helpful. We would not hesitate to recommend Mountaineer Movers to our friends. The professionalism demonstrated by the staff through all phases of our move was exceptional. If you need a local moving company, our local service area includes: Hamilton, Burlington, Oakville, Milton, Mississauga, Grimsby, Binbrook, Ancaster and Dundas area. We also serve and all municipalities in the Hamilton, Halton, Niagara and Brant Region. See ourservice area page for a complete list. 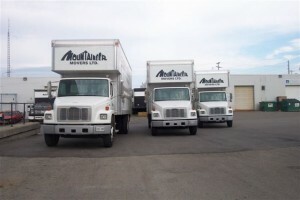 Make Mountaineer Movers your mover of choice for local moves. Remember we also provide private storage in our climate controlled, secure facility in Hamilton.